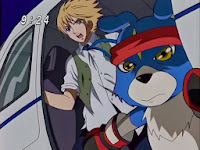 Digimon: System Restore: Data Squad Episode 36: Awaken Belphemon! 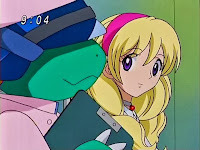 In this episode, just as Kurata stabs Hashima in the back, Thomas decides to return the favor. I love it when a plan comes together. There's nothing surprising about Kurata unleashing Belphemon and holding the world hostage. He's been pretty open about this and it's the right moment. At the same time, despite how much we hate Kurata and how much trouble the world's in, there's something immensely satisfying about him utterly humiliating Hashima. While not evil per se, there's little to like about Hashima and his knack for always making the wrong decisions. Now we can point the finger squarely at him and laugh in his face for trusting a mad genius. While Thomas should get tons of the credit for his moves here, the way Kurata executes his plan is still superior. 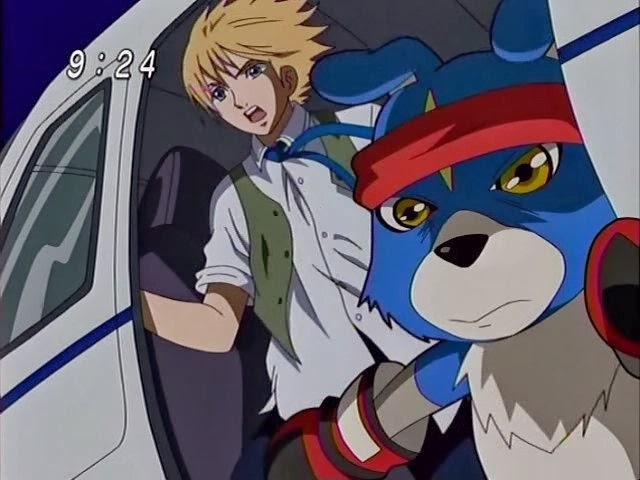 You have to remember that this moment was a culmination of years of waiting for the conflict between human and Digimon to escalate just enough for him to be able to step in and take over. Kurata had to rely on the fact that the tension he created meant that war was a matter of when instead of if, and capitalized on Thomas's family situation to get the final piece to the puzzle. He was playing a long game, and he played it very well and should enjoy his victory before Thomas turns everything around. As impressive as Kurata's long game is, Thomas's ability to create an impactful escape while not hampering his true allies should be acknowledged for how little time he had to formulate it. Somewhere between being coerced into helping and his fight with Keenan and Falcomon, Thomas had to have most of it worked out. This involved getting Kurata to explain his plan, earning his trust, beating Keenan while keeping him alive, designing an invention that would work only as long as desired, and hoping the timing of Relena's surgery was soon enough to limit the damage Belphemon would cause. There's a huge bit of guesswork and luck involved in that last one. Did Thomas really know that the surgery that would remove Relena's Battle Royale collar was scheduled during Belphemon's initial rampage? Did he even know it involved turning her into a Bio-Hybrid? The amount of damage Belphemon did cause was substantial, but think about how worse it would have been if her surgery was planned after Kurata took over the world? Not only that, but Thomas still created the controller for Kurata. 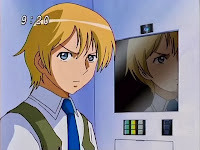 While his sabotage forced Kurata to resort to a desperate backup plan, without the controller Kurata may not have been confident enough to unleash Belphemon in the first place. With Belphemon and his cute widdle sleepy face out to terrorize the world, which happened almost immediately after Keenan was able to warn the team about him, the Data Squad had no choice but to try to fight back. For a show that's all about Marcus, everybody gets a lot more interesting when the main character is stuck on the sidelines. Yoshi steps into a leadership role with no hesitation, suggesting that the way she always ceded command to Marcus and Thomas was more to prevent conflict than a lack of ability. She's always had this in her. Miki and Megumi are right behind her... and they have motorcycles! And the ability to evolve their partners to Ultimate! Convenient, but it makes sense: why wouldn't a demon lord blowing up downtown bring out the sort of passion needed for that sort of thing? Still, it's no shock that they're ineffective against Belphemon, doubly so when Kurata throws all his chips in and fuses with the big guy. Marcus and Thomas rejoin the battle in ways completely antithetical to their characters. Marcus has a sincere conversation with Agumon's digiegg, not wanting to disobey orders but doing so only because he believes success hinges on it. Thomas jumps out of a freaking helicopter. It's kinda cool how they split up recap duties among the characters, but Keenan's diction leaves something to be desired. I'd still take him over Bokomon any day. Keenan mentions Belphemon as being one of the Seven Great Demon Lords (associated sin being sloth, of course) that tore up the place ages ago. It's a rather random reference to a bunch that doesn't do a whole lot in the anime canon (Daemon, Beelzemon, Lucemon and Laylamon are also card holders). This also applies to Merukimon being mentioned as one of the Olympus Twelve. I just kinda threw up in my mouth a little having to call her Laylamon. After capturing Yushima, Thomas puts Kamemon in his own digivice. Since when was this possible, and why has nobody used it to shut up Agumon? Since RookChessmon and BishopChessmon are apparently mute, Miki and Megumi take over for calling out the names of their attack. I have not played it but I think the other 6 Demon Lords were the villains in PS2 game. I do like when they name-drop these groups. Encourages people to go do research and sucked deeper into the fandom like an endless rabbit hole! I like that the big nasty demon lords aren't relative unknowns. Daemon (02), Beelzemon (Tamers), and Lucemon (Frontier) have all given their respective teams quite a bit of fight, and only *one* was beaten. At the end of the series. Daemon was locked away, and Beelzemon...well maybe he was beaten, too, come to think of it. I may have missed Lilithmon somewhere, but I dont think I have, as I'm watching these in order. At least these big bads are coming from *somewhere*, and not just another Myotismon pulled out of the creators' rears.